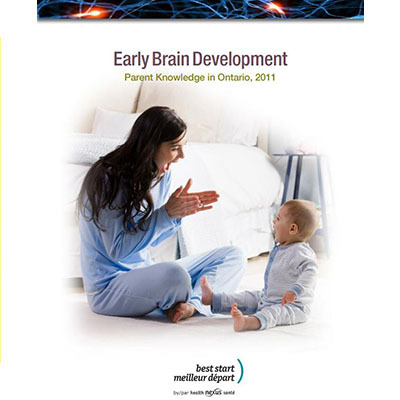 This report describes data from the Best Start Resource Centre 2011 Ontario survey of parental knowledge about early brain development. The survey examined the attitudes and knowledge of parents of children aged 0-6 years, the information sources they relied on, and the information and resources they would find most useful related to early brain development. Survey results will help service providers think about populations of interest, key messages and effective strategies to promote early brain development. This report serves as a baseline for future surveys that examine Ontario trends in parental awareness and knowledge related to early brain development.